In the category of lowest cost of ownership, the company took top billing for the third consecutive year - since its addition to the survey. No other lift truck manufacturer has ranked number one in quality, value or lowest cost of ownership in this study since its inception in 2004(1). 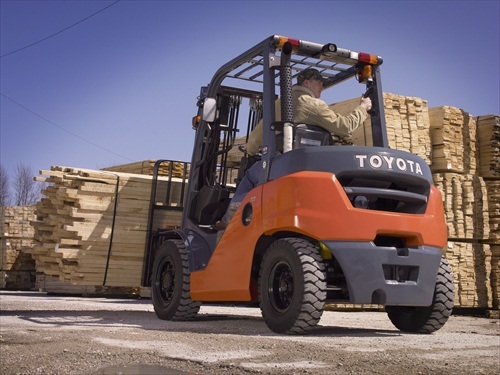 "Toyota is proud to remain the number one choice in lift trucks for material handling customers," said Jeff Rufener, president of TMHU. "It's especially gratifying to have this validation from the front line that our trucks have the lowest cost of ownership." Peerless Research Group surveyed 424 qualified respondents involved in the purchasing of material handling equipment. Respondents represented companies from a wide range of industries, including: food and beverages; automotive and transportation; and fabricated metals and industrial machinery.